Dads and daughters are a unique pair. They often fit together like hand and glove. When they don't, a wonderful opportunity awaits. Daughters who feel connected to their dads radiate for them. In fact, daughters look up to their dads as their most important guy and have greater opportunities to get to know them when they are SAHDs. So what do dads need to know to form this precious bond? Dads may not carry their growing babies inside their bodies, but they sure do carry them inside their minds. The prospect of being a father to a daughter may seem daunting, but it definitely is exciting. The relationship begins as soon as dads find out their expected baby is a girl! The dad-daughter relationship begins in the expectant father's imagination. The prospective responsibility often seems huge to many dads. They have a second sense about being with a boy, but a girl seems a bit foreign to most guys. But all an infant girl needs is dad's special voice to key into and the romance begins. When dads stay at home, the girls hear his deep voice in a special soothing way that they benefit from. 1.Respond quickly to your baby girl's cries simply by talking or humming. When she hears your deep voice, a calm will set in. 2. When changing your baby, make it a bit of an event. Talk and sing about anything you wish and she will respond like changing diapers is a game. 3. Hold your infant girl close to your chest and move gently and rhythmically. She will feel your unique tempo that fosters your connection. 4. As soon as she begins to coo, join in the conversation. Simply coo back in your low tones and presto, you are talking together and relating together. The 5-10 year old daughter set falls in love with their dad. You may find that your daughter loves to just be around you, kind of shows off for you, and hangs on your every word. She craves your attention, so give it often. The benefit of being at home means she gets more time to croon with you. 1.Girls love praise from their dads. When you praise be specific, accurate, and of course, positive. Over-praising can lose meaning, so look for details to point out and your daughter will be grateful. 2. Girls build self-confidence when they feel their dads enjoy them. Stretch yourself to learn about your daughter's interests, so you can talk about what she enjoys. When you're interested in what she does, she feels you're interested in who she is. This builds her self-esteem and your dad-daughter relationship. Being at home means you see her enjoy her interests not just hear about them at the end of a tiring work day at the office. 3. Be involved with school work. School is the center of your daughter's life. Be as involved as she wants you to be. That may mean sitting next to her while she does her homework, actually helping with assignments, or organizing a back pack. Whatever it takes! 4. Meet her friends. Friends are also the center of your daughter's life. If she's a social butterfly drive her to sleepovers, chat with her girlfriends, and look at her photos. If she's more reserved be interested in her "best friend" and let her know she's a girl that other girls will like and tell her specifically why. She needs to know from you. Your daughter is more of her own person now but her self-esteem is key. When teenage girls believe their dads believe in them, their self-confidence rises. 1.Teenage girls need their space, but they build confidence when they know you are interested in what they enjoy. Ask them about their activities, interests, and school work. They'll be very pleased you want to know. 2. Teenage girls need dad approval even if they don't act that way. Find whatever you can to praise from a cool outfit to a school essay. Even girls who don't act like their appearance is central feel remarkably pleased when their dad says they look pretty. Deep down you're still the number one guy. 3. Ask your daughter her opinions. Teenage girls have philosophies about life especially as they get into their later teen years. Your interest in her thoughts matter more than you know. 4. Go places with your daughter together just the two of you. No matter how many kids you have, how busy home life is, your daughter needs to spend time alone with you to remember she is a central part of your world. Laurie Hollman, Ph.D. is a writer and psychoanalyst who specializes in infant-parent, child, adolescent, and adult psychotherapy. 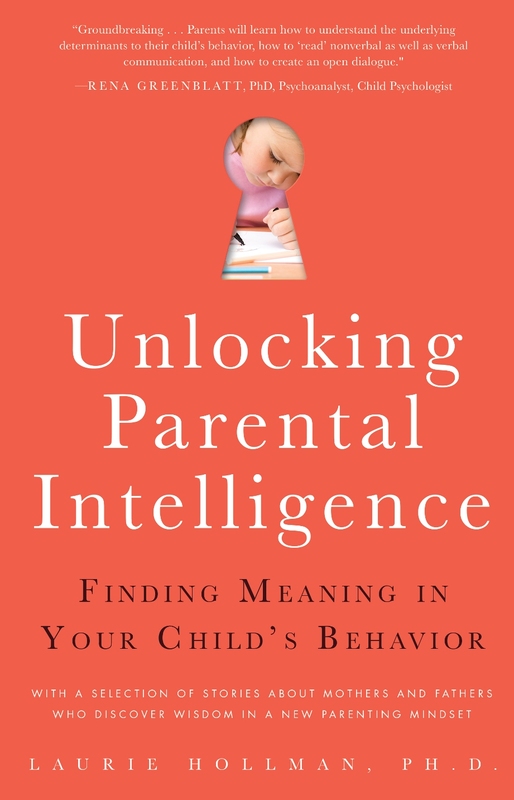 Her book, Unlocking Parental Intelligence: Finding Meaning in Your Child's Behavior, has four special short stories that focus on the pivotal role of fathers. The book can be found on Amazon, Barnes & Noble, Familius, libraries, and wherever books are sold.